[PRESS RELEASE] Edwards, Colo. - October 2, 2012 - Crazy Mountain Brewing Company, based in the Vail Valley of Colorado, has expanded their distribution network to include 9 states across the country. This expanded distribution will facilitate markets in all corners of the US, including the mid-west, to have proximal access to Crazy Mountain's expertly crafted products. In early 2012 Crazy Mountain's distribution network included Colorado, California, Florida and Texas. This October Crazy Mountain is announcing distribution in 5 new states. The first new distributor to add Crazy Mountain Brewery to their craft beer portfolio is McDonald Distributing Company out of Rush City, Minnesota. They have launched Crazy Mountain in the St. Paul and Minneapolis markets. Buckeye Distributing will handle Crazy Mountain distribution in Ohio. Founded in 2000, they serve over ten thousand on and off-premise accounts in Ohio and Northern Kentucky. Buckeye is an importer and distributor of international and domestic wines and craft beer. Great State Beverage Inc. is a local beverage distributor serving New Hampshire and Blue Coast Beverage, a subsidiary, services Eastern Massachusetts and Cape Cod. Great State Beverage Inc. brings amazing craft brands to New England including Dogfish Head and Lagunitas. Bigfoot Beverage is now representing Crazy Mountain in Central and Southern Oregon. This third generation Pepsi distributorship is excited to open their portfolio to craft beer and have Crazy Mountain as their premier alcoholic beverage brand. 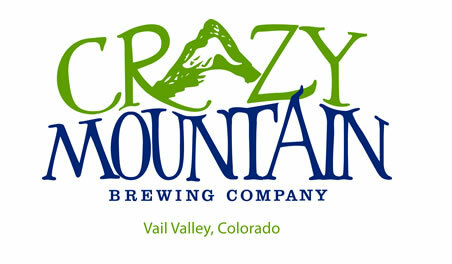 Crazy Mountain Brewing Company is a craft brewery and tasting room in the Vail Valley of Colorado. We went into business in January of 2010. We produce handcrafted beers that are available throughout Colorado, Florida, Texas, California, Minnesota, Ohio, New Hampshire, Massachusetts and Oregon. We pride ourselves on our unique take on traditional ale styles and our passion to deliver the freshest and highest-quality beer to our consumers. For more information, please visit www.CrazyMountainBrewery.com. - Crazy Mountain Lava Lake Wit review. - Crazy Mountain Mountain Livin' Pale Ale review. - Crazy Mountain Brewing to be distributed state-wide.